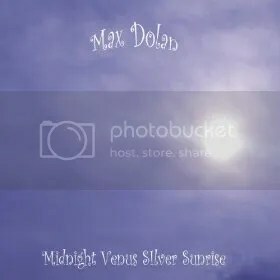 Guitarist Max Dolan returns with new single “Midnight Venus Silver Sunrise” | Sonic Smash-Music! Jersey, UK Guitarist Max Dolan has released his newest single, a psychedelic drum and guitar instrumental called “Midnight Venus Silver Sunrise.” The single has a playing time of four and a half minutes and features the same far-out guitar work and composition that Dolan has come to be known for. Previous titles such as “Lilac Moonrise” and the “Distant Horizons” EP have cemented Max Dolan as a mainstay of the modern psychedelic rock movement in the United Kingdom, as well as abroad, and “Midnight Venus Silver Sunrise” stands as proof that his repertoire and considerable talents are still steadily, and marvelously, growing. The new single from Dolan features his own brand of cosmic guitar playing braided with the ambient, mesmerizing percussion work by his drummer, Kofi Baker, son of Cream drummer Ginger Baker. True to Dolan’s artistic character, it is not a work that espouses a particular theme or philosophy, but rather art for art’s sake, a rare and beautiful thing in the music scene of today. “Midnight Venus Silver Sunrise” is all about sound and music, like a classical composition for drums and guitar. Its chord progressions wash over and under like waves on a moving tide, its shifting tones coming and going as they please like gentle wind through an open window. Dolan began his music career as a session musician for the Jimi Hendrix Experience on the Experience sessions album. “Midnight Venus Silver Sunrise” by Max Dolan is available worldwide beginning April 13, 2013. This entry was tagged max dolan, mondotunes.